It’s a great thing to have such a range of carrying products online, at your fingertips, and even better that you can just click to buy, and have your carrier delivered to your door. In lots of ways it is ideal, but in others it is difficult – buying online is buying blind, and it pays in the long run to do a few checks before you commit. This applies especially if you are buying from an auction or marketplace style site, or somewhere you have not used before. Old sayings nearly always have their basis in truth, and there are two that are more than relevant here. It’s a great idea to check out the usual secondhand sites for goods before you commit to buying new – you never know, there might be one going for a song. I absolutely do it myself, along with research on brands and types with all kinds of items – I’ve recently been searching Ebay for decking and flooring, comparing brands and prices per square metre with the big online stores. The first big problem here is that you just won’t find the brands of carrier stocked by specialist carrier stores (such as Connecta, Beco, Didymos) in any numbers on Ebay or other marketplace sites in the UK. They just aren’t enough of them there to buy. And because there are so few, the competition on these brands is steep – for context there are currently 9 Connecta baby carriers for sale on Ebay in the UK, lost amongst the 628 Baby Bjorns, 139 Mothercare carriers, 59 Mamas and Papas carriers, 198 Infantino carriers, 194 Tomy carriers – you get the idea. Rarity pushes up the price, and more than one of the Connectas currently for sale there are selling for well above their new price. This imbalance also leads to the second big problem – that using general auction sites to research brands and options for carrying your baby can only give a very limited view of what is on the market. As I said, I use Ebay – you expect it to have an average cross section of stuff – but in this case it is severely skewed – the Ebay market does not represent a range of carrying options. That begs the question – what is there instead? Well, there are the mass produced front pack style of carriers, some brands of which are listed above. It is only natural that they are there in large numbers, there are physically more of them, they are easily available on high streets across the country, and their usable life is less than some other carriers which means there is a higher turnover. There are then the carriers of unknown origin – often shipped from overseas, there are many sellers who use promotional pictures from bigger brands to sell their products. I have recently challenged sellers who are using Hoppediz, Moby, Wrapsody, Ergo, and Boba promo material to sell their product, and received dismissive replies or silence in return. There is likely an overlap with counterfeited carriers here – counterfeiting is a big problem especially with brands like ErgoBABY (Beco, Moby, and Freehand have also had issues and is just getting worse). It is odd to realise that counterfeiting happens in the baby carrying world, but it is more common than you might think. Naturally, once counterfeited carriers are in circulation, they can also make it back onto the market secondhand from private sellers who may not even know they are selling a product made by an unknown person with unknown quality control. Quality control on goods that seem to be so much cheaper than all of their contemporaries can sometimes be an issue. I have seen in the past some worrying workmanship and construction materials on carriers brought in to the library. It is always difficult to tell someone I have safety concerns about their carrier or that I believe it to be counterfeit, but it happens with increasing frequency. Sometimes quality control is fine but the inherent qualities of the product make it much harder to use for some buyers than another brand – for example, a mei tai with shoulder straps set at a wide angle can mean users struggle to provide their baby with head support, and their child leans away from them, hurting their back. On paper the carrier looks the same as the more expensive one on another site, but the most popular brands are so because they work for the majority of people the majority of the time. Another example is a lightweight woven wrap which lacks width or mouldability, making learning to use it comfortably much, much harder. We help people out with both these problems on a regular basis in the library, and the majority of carriers can be used well enough for a certain period with some additional skills and a bit of practice. But it is nearly always a mistake to buy something that looks the same, only much cheaper, on the assumption that it will be the same. It is a difficult thing for me to watch parents who want to carry their child so much they research carriers, invest in a budget version to see if they get on with the type, then find it difficult and uncomfortable to use and conclude that carrying will not be useful for them at all. When cost is an issue, it is nearly always helpful to look at your carrier on a cost per use basis. It’s a simple enough sum, and we can help you fill in the estimated numbers if you need to. Think about how often you will use a good, reliable carrier (say, three times a week or 150 times a year), then multiply that number by how long you can or want to use it for (for example, 1.5 years), to get your Uses number (in this example, 225 Uses). Divide your Carrier Price by your Uses number, and in this case your Cost Per Use is a little over 4 pence. Looking at resale is a great use for eBay, once you have identified some brands to search for on sling and carrier sites. It is always worth doing your sums like this where cost is an issue. 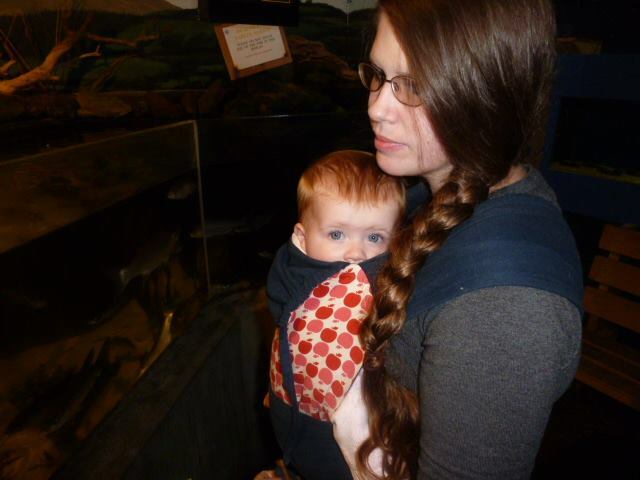 The West Yorkshire Sling Library’s primary objective is to help you carry comfortably and safely, for as long as it is useful to you, your baby and your lifestyle. It is all about the carrying, not about the carrier. That is why the first thing we do is try and make the carrier you already have work for you, as hundreds of our visitors will attest. It is important to realise that there will always be a bargain to be had somewhere online, and not all come with strings attached. I want you to feel safe and confident buying online, whatever your budget and whatever style of carrier you want to buy. I have frequently found carriers for library users, passed on my own bargains, provided proof of counterfeiting for credit card refunds, helped library users to make their own safely, looked over potential purchases that look too good to be true, and of course given out hundreds of discount codes and vendor recommendations. This is not designed to put anyone off buying, but to help you make the right choice for you. So where are all the carriers? If they aren’t on Ebay or Amazon, if they aren’t in Mothercare or Mamas and Papas or Kiddicare or your local baby shop, where on earth are they? It’s a good question, and one the libraries across the country try to provide the answers to. You can try carriers before you buy at any of the libraries across the country – check out The UK Sling Library Network for your nearest sling library. Plenty of online specialist carrier stores have walk-in shops where they can help you face to face – do check if there is one near you – Connecta Baby Carrier have a store in Godalming, Love to be Natural in Augher, Closer to You in Edinburgh, Marsupial Mum in Hebden Bridge, there are many more. If you are not close to these, yet more offer email support with your choice and honest advice with your purchase, as well as great return policies and even postal hire – check out Slumber Roo, Natural Connection, Kangarinos, Sling Heaven, Show Me Slings…. 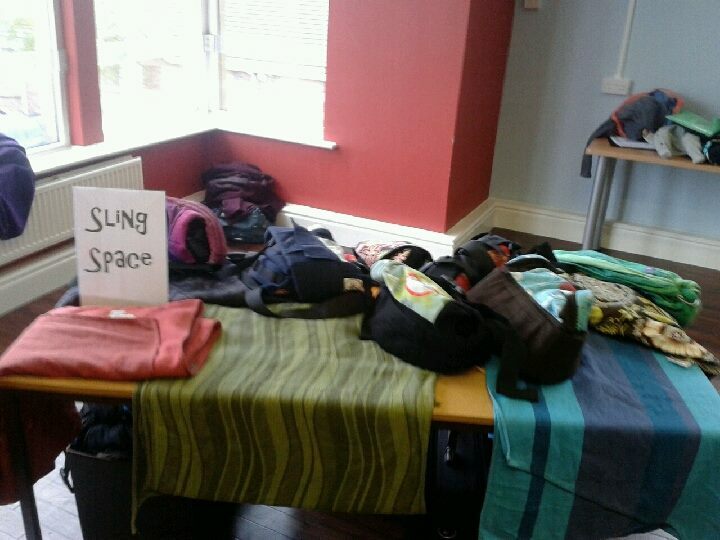 To buy second-hand, there are the carrier lists – if you use Facebook there are tens of thousands of members on Slings and Things – FSOT and Advice offering items for sale or trade, the same applies to Babywearing FSOT, Babywearing DIY Advice and Support, and Affordable Baby Slings for Sale or Swap. If you prefer not to use Facebook, the forums at Natural Mamas offer a For Sale or Trade board, a Feedback system for both private vendors and businesses, so you can look up reviews and feedback before you deal with somebody, and a Carrier Review section to help you make up your mind. Do enjoy carrying your little one, whatever you use – the most important thing to take away from stumbling across this article is that people are out there to help you make your choice, with no strings attached – for as long as it is useful to you. Stretchy wraps and revamped Snugiwraps!